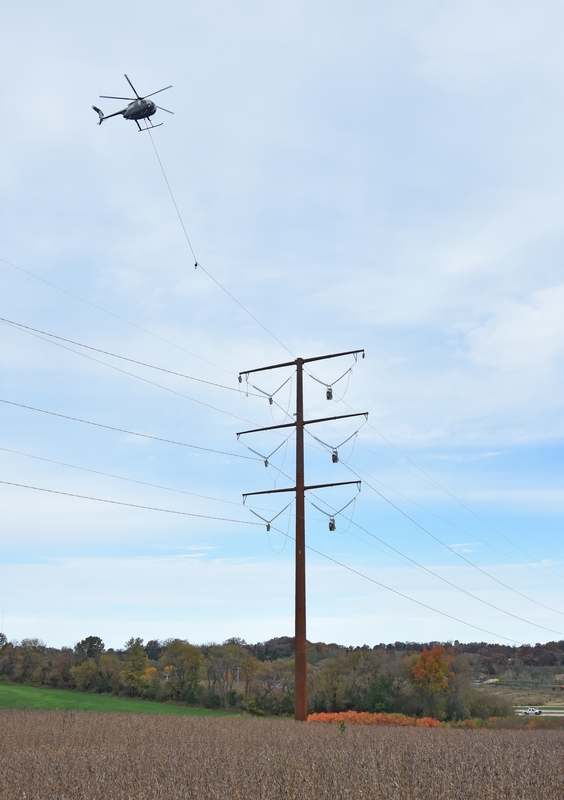 A state appeals court has upheld the Public Service Commission of Wisconsin's approval of a major transmission line in western Wisconsin. The Town of Holland sued the PSC in 2015, claiming the commission did not follow state laws when evaluating the Badger-Coulee transmission line. A circuit court ruled in favor of the PSC last year and an appellate judge upheld the decision on Wednesday, May 30. "Obviously it's disappointing, said Marilyn Pedretti, Town of Holland clerk. "The question is whether we take it to the supreme court or not and that is a board decision and they have not met to discuss that." Pedretti said the town board will meet on June 13 to decide on an appeal. 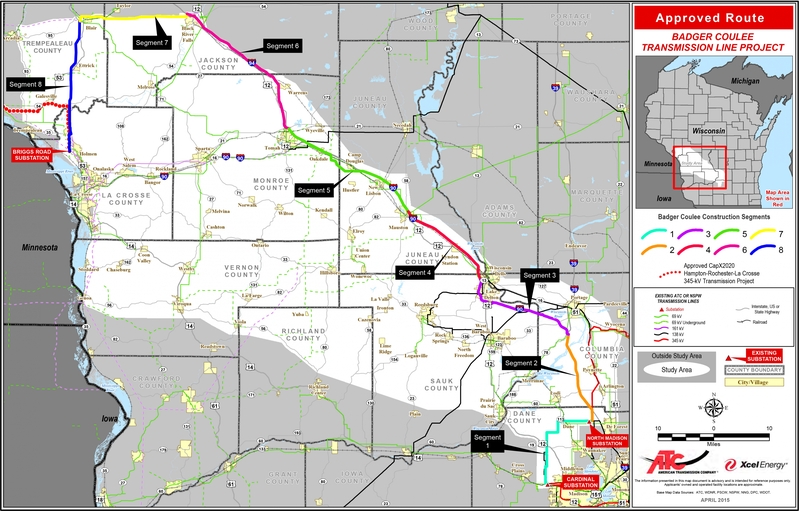 The ruling comes as two owners of the Badger-Coulee project, American Transmission Company and Dairyland Power Cooperative, are proposing another transmission line in the region. Kaya Freiman, spokeswoman for ATC, said it's too early to tell if the decision will have any impact on the Cardinal-Hickory Creek line. "Any challenges, if they would occur, would be after we have the project approved, if the project is approved," Freiman said. Freiman said ATC is happy with the latest ruling on the Badger-Coulee project and hopes to have the line in service by the end of the year. But Pedretti said that won’t affect the town’s decision on whether or not to continue the lawsuit. "If we take it to the (state) Supreme Court and the Supreme Court says 'Yeah, they didn’t do their due diligence. They have to take it down,' that's the outcome," Pedretti said. Editor's note: American Transmission Company is an underwriter of Wisconsin Public Radio.